I am a humble Occult Consular who has some gifts by the universe. I have a unique set of planetary placements in my own horoscope, which provides me with some unique strengths to provide for guidance. For example, I have Moon in the Shravana Nakshatra, which is ruled by Moon itself. This placement of the Moon gives me a unique ability to provide counseling services. I have the lord of my 8th house in the 8th house in the Mooltrikona. The placement again provides me a unique abilities with various Occult sciences. I am grateful to the people for the interest they have been evinced by my writings and the services I provide. You can get a range of services right from detailed explanations to your questions in life to simple computer generated reports. I usually do not try to give strange predictions based on planetary placements on your chart and play with your destiny. Because I am good at counselling (a natural gift in my birth chart); here is what I will do. I will try to explore the possibilities based on your questions and act as a facilitator who provides the direction of the future course of action. In the study of any branch of knowledge, theory and practice must go side by side. Theory always remains a theory until a man decides to use it practically and verify the theory. I believe that all astrolocial schools and various other Occult Sciences originated from one origin. But with time and distance between civilizations, it changed. 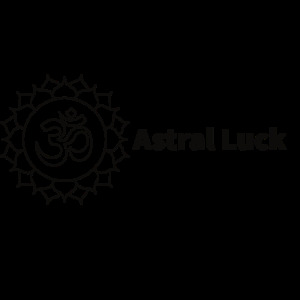 I have learned many different theories of both Vedic and Tropical Astrology, Tarot cards and Angel and Oracle divination. I try to bring the completeness to my readings by using my sense of real life practice from various techniques to provide you the real benefit.